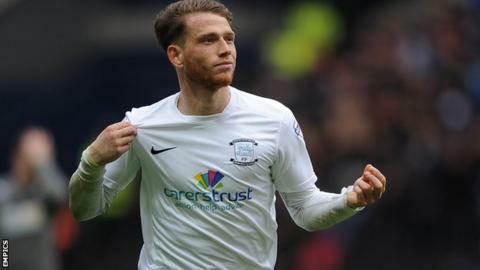 Preston boss Simon Grayson says his side were "never going to sell" last season's top scorer Joe Garner. The former Watford striker, who has scored three goals in the first three games this season, signed a two-year extension at Deepdale on Tuesday. The 26-year-old scored 24 goals in all competitions last season as North End finished fifth in League One. "He's one of the hottest properties around," said Grayson after a 1-1 draw at Doncaster on Tuesday. He told BBC Radio Lancashire: "We've been really adamant that we're never going to sell him, regardless of speculation. "It's fantastic news and hopefully there's loads more goals for him."